Approximately one year after sitting down to start writing my current manuscript, I am far from done. I have a complete story, that’s not the problem. The trouble is, that I continue to learn about the craft of writing and it is making me realise how much work I still have to do. 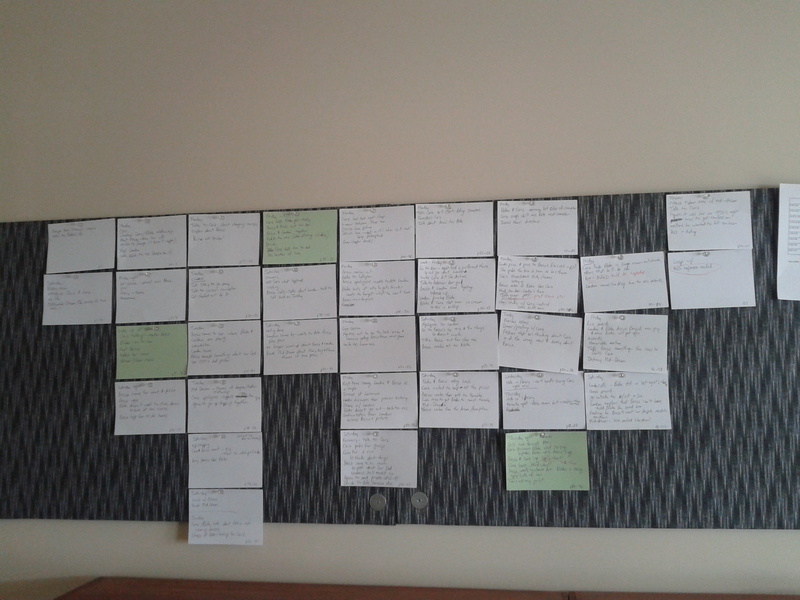 After completing a first draft, I started a structural edit to make sure everything was correct in the big picture; including making sure there was nothing and no one mentioned only once. I have learned that characters which only appear once are usually a way for the author to impart information in a lazy way and yes, we all do it, but we can edit the laziness out. But four weeks into a ten week writing course, I know why my word count is low and where I can expand. So, before I’ve even finished entering the last edits, I’m about to read through it again, with the red pen in hand. When you can see an entire story in one glance, it is easier to see the patterns and holes. My main themes are circled in different coloured pens, and sections that are too thin have notes on how to expand. I’ve been able to stand back and see what themes are not consistently represented throughout, and to work out the most appropriate places to fill these gaps. It’s a story board that I’m sure, only makes sense to me, but that’s ok, the whole point of a story board is to help improve your own work. So to all the aspiring writers out there; if you are stuck, find a way to look at the whole project. It gives new perspective and you mind be surprised what you find. Thanks for sharing Jenny. I’ve been mulling over for a while now how best to approach the story board. Have you found you’ve have to cut more than expected or create new stuff to bridge gaps?